Being a punter can be a lonely endeavor. Despite having 10 additional teammates on the field snapping, blocking, and covering the opposition’s returner, the punter is the focal point of the play. Located several yards behind the long snapper, alone on a football island, the punter analyzes the elements and the coverage team, deciding where to strategically place the punt to maximize his team’s success and avoid disaster. Punting is a craft that lends itself to an introvert and requires the dedication to spend hours punting footballs, perfecting the spiral and placement of the ball, often alone. That’s what initially drew New Orleans Saints punter Thomas Morstead to begin pursuing punting as a teenager. Punting a soccer ball was ingrained in Morstead at a young age, from his days of playing goalie, and when he excelled in a Punt, Pass, and Kick competition in middle school, he discovered his knack for punting a football. 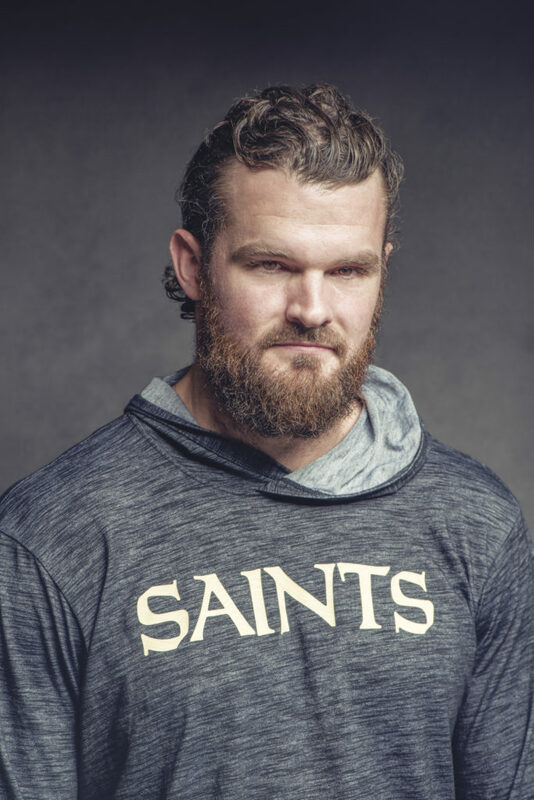 All those hours paid off, as Morstead, in his 10th year with the Saints, has become an integral player in the franchise and a beloved member of the New Orleans community. The former Pro Bowler etched himself into Saints and NFL lore with his famous onside kick to start the second half of Super Bowl XLIV in 2010. Winning the Super Bowl is the perfect way to end any NFL season, let alone one’s rookie campaign. Morstead is one of the few remaining players from the franchise’s lone Super Bowl victory, and he has weathered the peaks and valleys of the subsequent seasons, which makes the current winning resurgence over the past two seasons even sweeter. The winning is a product of one of the core values of the Saints: getting the right people in the building. It’s been a process, Morstead says, but during three straight 7-9 seasons, the Saints stuck to their values and principles while building a new team foundation, trusting a process that has ultimately proved successful. This season, the Saints offense has been roaring, scoring at a higher clip than nearly every team in the league. More offensive touchdowns equate to less punting for Morstead, who averaged over 58 punts per season his first nine years. Through 12 games this season, the Saints have punted only 28 times, the fewest in the NFL. With a lack of punting game-to-game, Morstead says he actually stays more engaged than usual. “It’s counterintuitive—the more I punt, the less I do,” Morstead explains. “Part of that is, when you go into the game, the adrenaline you experience for one play can sit in your system for a while. So, I don’t have to do too much activity on the sidelines when I’m punting more.” Morstead needed all the adrenaline he could muster last year against the Minnesota Vikings in the NFC Divisional Playoffs. Vikings fans responded to Morstead’s gritty performance by donating over $220,000 to his charitable foundation, What You Give Will Grow. Overwhelmed by the generosity of the Vikings fans, Morstead turned right around and donated all the proceeds to Children’s Hospitals Minnesota for its Child Life program. That donation last winter was a highlight in a long line of philanthropic endeavors by Morstead’s foundation, which emphasizes helping children battling cancer. Inspired by his friend James Ragan, who battled osteosarcoma, Morstead and his wife Lauren started WYGWG in 2014 to help the New Orleans community and encourage the giving spirit. “James’s fight, his attitude, and his mentality in dealing with it and helping others who were going through the same thing were really inspiring, and it’s a way to keep his legacy and memory alive through the foundation,” Morstead says. The name of the organization comes from a quote by Frank Gansz, Morstead’s mentor and special teams coach at Southern Methodist: “What you give will grow. 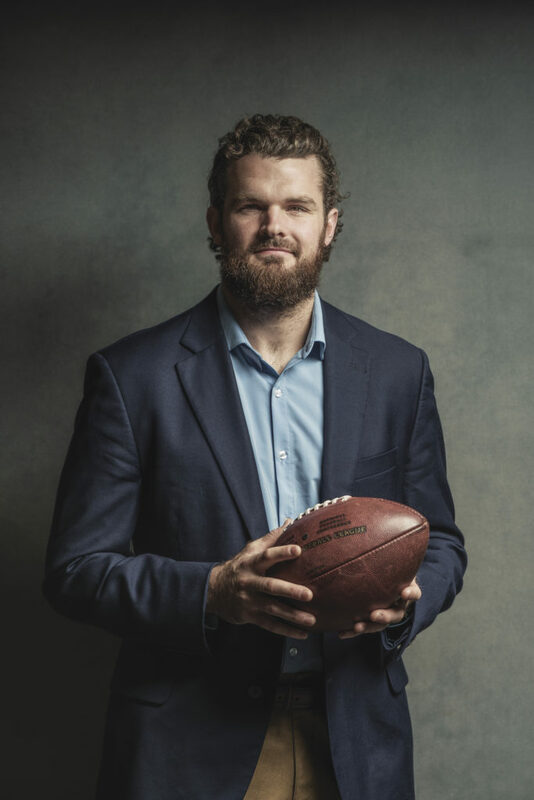 What you keep, you lose.” Gansz passed away in 2009, the day after Morstead was drafted by the Saints, but the impact Gansz had on Morstead’s life propelled him to found WYGWG to continue to give back and help others. Since its inception, WYGWG has raised over $3.5 million for charitable causes with the help of an army of dedicated volunteers. Morstead encourages anyone interested in donating money or time to visit WYGWG.org to get plugged in and contribute to the positive impact the foundation is having on the community. Alexander, Andrew. “Where Y’at.” Festival Food & Beverages Offered at French Quarter Fest | Where Y’at, 21 Dec. 2018, www.whereyat.com/punting-for-change-saints-punter-morstead-tackles-charity-and-sometimes-return-men.